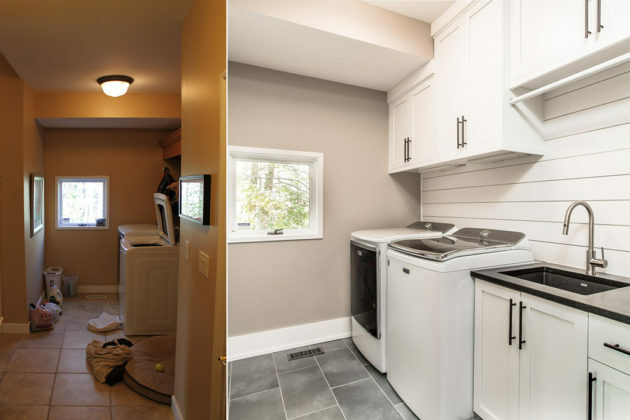 With so many approaches to remodeling, it can be confusing for homeowners to know not only where to start but also what to expect in the process. It’s impossible for any contractor to know how much your final project is going to cost without seeing your space, knowing the level of finishes you want and doing due diligence up front. Many initial “free estimates” are merely top-of-the-head thinking based on standard finishes without knowing what’s going on behind your walls or under your floor. This can lead to sticker shock down the line when what you really wanted and the number your contractor initially gave you don’t match up. Great design takes time and money. Measuring, conceptual plans, elevations, design options and revisions all add up. Just as you wouldn’t expect free website design or free consulting services, remodelers provide professional Architectural and Interior Design services that cost money. Going through a detailed design process first allows you to get to a more realistic budget/cost which will save you money in the long run. No-one wants to be continuously change ordered once the Kitchen has been demolished and you have no choice but to pay more to get the project done. A detailed design process up front stops those “wasn’t expecting that” moments and blown budgets once demolition starts. 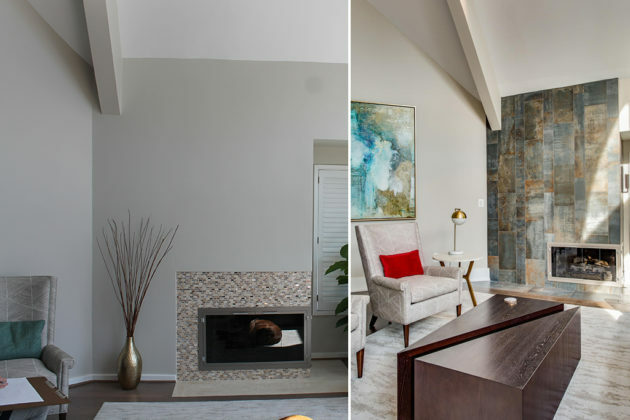 This month’s renovation features the transformation of the Main level of a contemporary lakefront home right here in Reston. 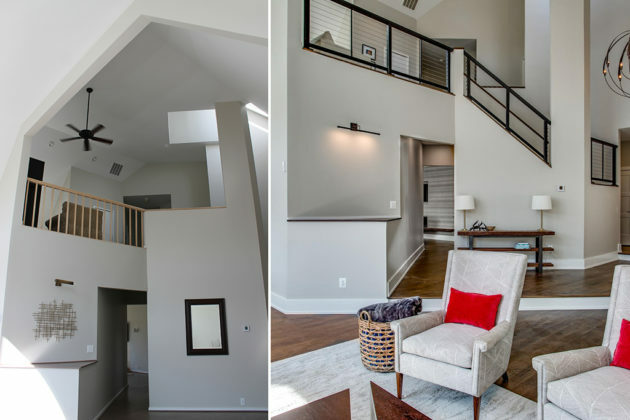 As with all of our clients, we partnered together to go through a detailed design process at the beginning of the project to come up with a design that perfectly matched the homeowner’s wish list. 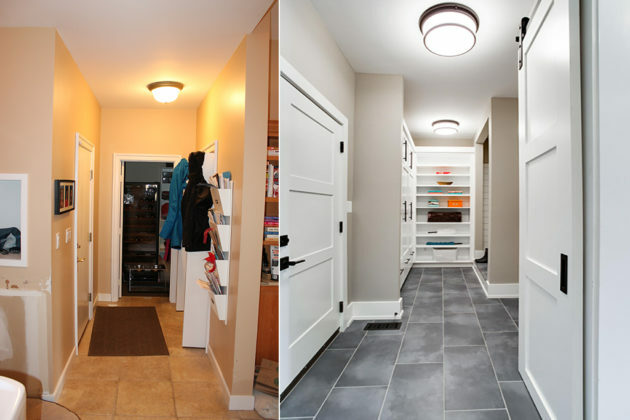 In addition to the kitchen, butler’s pantry and family room, we remodeled the laundry room and mudroom into functional spaces for a busy sports-enthused family and created a much more modern feel to the entire main level more in keeping with the contemporary architecture of this beautiful home. Learn more about our approach and listen to our clients tell you in their own words Why Us. 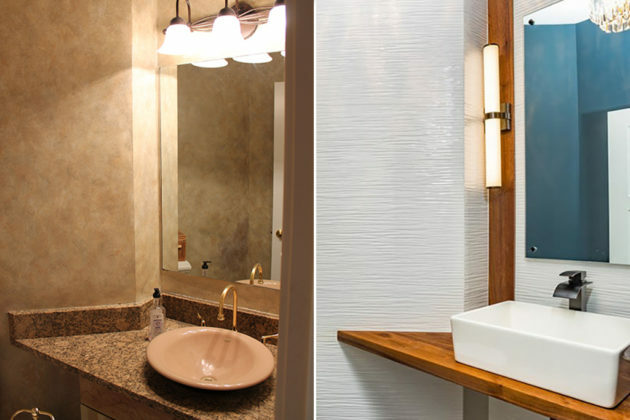 Ready to take the next step in your remodel? We’re always happy to hear from you and discuss your project. Get in touch! The musical traditions of Japan and India will combine in a performance by Yumi Kurosawa and Anubrata Chatterjee at the Reston Community Center later this week. Kurosawa is set to play the koto, a Japanese stringed musical instrument, while Chatterjee will play the tabla — a pair of small drums common in North Indian classical music. They are set to perform on CenterStage (2310 Colts Neck Road) at 8 p.m. on Wednesday, Feb. 13. Tickets cost $15 for Restonians and $20 for everyone else. 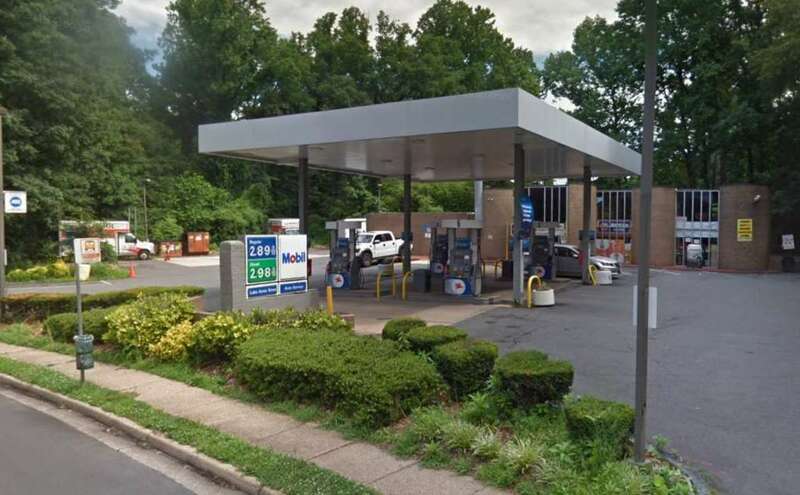 Locals who frequent the Lake Anne Service Center might have noticed that the auto maintenance shop has been closed recently. Co-owner Bobby Kapoor told Reston Now that an electrical issue on Feb. 2. caused the temporary closure. Tech crews have been working on fixing the issue, and an electrician is set to come out tomorrow (Feb. 13), he said. Once it’s fixed, Kapoor said that he will call the county to come out for an inspection. He’s hopeful that the Lake Anne Service Center (11410 North Shore Drive) will be back to business this week. 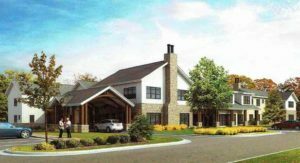 Great Falls residents will be able to get their questions about a proposed assisted living facility answered at a community meeting tomorrow (Feb. 12). The 62-unit assisted living facility would open in 2020 at 1131 Walker Road and be run by IntegraCare, according to the Great Falls Citizen Association (GFCA). The site is above the Leesburg Pike and close to Colvin Run Mill. IntegraCare is seeking a special exception to the county’s zoning laws. For the exception to be granted, the plan must satisfy several zoning requirements, such as showing that the application aligns with the Comprehensive Plan. Public hearings are also required before the county’s Planning Commission and Board of Supervisors. Dranesville District Supervisor John Foust is holding the meeting in coordination with citizens association to give locals in the area the opportunity to ask questions and express their opinions on the proposal. County staff from the Fairfax County Department of Zoning Evaluation will be on hand to answer questions. The community meeting, which will include a presentation by the applicant on revisions to their proposal, will start at 7 p.m. in the cafeteria at the Great Falls Elementary School (701 Walker Road). County staff reviewed the application and suggested approval of the special exception in the staff report released last week. The Planning Commission will consider the proposal at its Feb. 20 meeting. Whether you’re celebrating with friends or significant others, Reston Now has rounded up some Valentine’s Day events this week that don’t involve dinner plans. With all of the chocolate and candy temptations, why not focus on self-care with physical activity set to love songs and break-up hits? New Trail Cycling, which opened in December at Lake Anne Plaza, will have themed rides all about love. The first one titled “Love vs. Break-Up Hits” is scheduled for the classes at 5:30 a.m. and 9:30 a.m. on Valentine’s Day (Feb. 14). On Saturday (Feb. 16), get ready for the “Battle of the Exes” at 11 a.m.
Feb. 12 and 13 Valentine’s Day gift with purchase — Spend $100 at a Reston Town Center retailer or restaurant on Feb. 12 or 13 and receive a bouquet of flowers by bringing your receipt(s) to the flower cart located in front of the ice rink on Market Street. 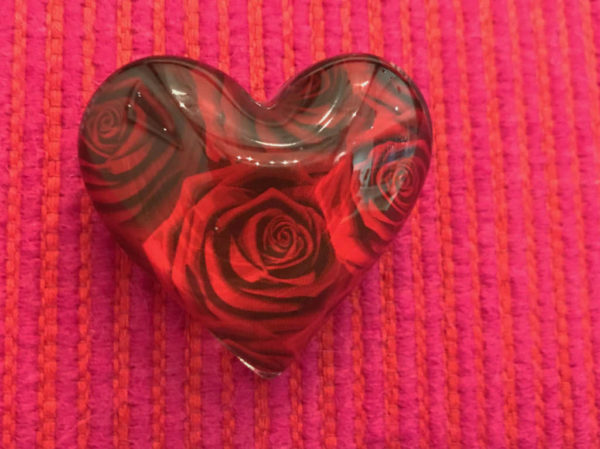 Feb. 14 Craf-Tea Thursday — Head to the Elden Streat Tea Shop to learn from Tess Rollins how to make two Valentine’s/Palentine’s Day paper cards while enjoying themed snacks and a pot of tea from 10-11 a.m.
Feb. 14 Valentine’s Day Bingo — From 10:30 a.m. to noon, come to the Tall Oaks Assisted Living to play bingo. Feb. 14 Annual Valentine’s Day Horse Carriage Rides — The annual event at Reston Town Center takes place from 4-9 p.m. The proceeds will benefit Relay for Life. Rides cost $5 per person and kids under age 5 ride for free. Feb. 14 Valentine’s Day Painting — For $50 per person, you can enjoy painting and wine for two at Pinot’s Palette in Herndon from 7-9:30 p.m.
Feb. 15 Valentine’s Gala — Food, dancing and more can be expected at Let’s Stay Together first annual Valentine’s Gala. The semi-formal gala will take place from 7-10 p.m. at the Embassy Suites on Woodland Park Road. Tickets start at $125. Feb. 17 Valentine’s Makesperience — Enjoy a couple’s dinner at 5:30 p.m. and sign up for a makers class at Nova Labs. Classes include jewelry-making, woodworking, t-shirt making, laser cutting and creating tea lights. Feb. 17 Galentine’s Day Party — Scrawl Books plans to host a post-Valentine’s “Galentine’s Party” to benefit Cornerstones and the Laurel Learning Program. Authors Orly Konig and Erika Marks will discuss books, writing and life while drinks and hors-d’oeuvres are served. This is a sponsored column by attorneys John Berry and Kimberly Berry of Berry & Berry, PLLC, an employment and labor law firm located in Northern Virginia that specializes in federal employee, security clearance, retirement and private sector employee matters. By Kimberly H. Berry, Esq. The Federal workforce is presently undergoing significant changes in size and scope. In some instances, this has led to the Federal government providing incentives for Federal employees to retire early. Federal agencies that are undergoing substantial organizational changes such as reorganization, reduction in force, reshaping or downsizing can be given the option to offer federal employees voluntary early retirement based on the Voluntary Early Retirement Authority (VERA). OPM provides guidance on VERA here. The purpose of VERA is to help agencies complete the necessary organizational change with minimal disruption to the workforce and make it possible for federal employees to receive an immediate annuity payment years before they would be eligible. The voluntary early retirement provisions are the same under the Civil Service Retirement System (CSRS) and the Federal Employees Retirement System (FERS). Meet the VERA minimum age and service requirements set by statutes in the U.S. Code for CSRS and FERS employees (i.e., the employee has completed at least 20 years of creditable service and is at least 50 years of age or has completed at least 25 years of creditable service regardless of age). Have been continuously employed by the agency for at least 31 days before the date that the agency initially requested the Office of Personnel Management (OPM) approval of VERA. Hold a position that is not a time-limited appointment. Have not received a final removal decision based upon misconduct or unacceptable performance. Hold a position covered by the agency’s VERA authority or program. Retire under the VERA option during the agency’s VERA acceptance period. It is very important for federal employees considering a VERA offer or whether one is available to seek the advice of an attorney regarding their retirement issues prior to initiating the VERA process. Our law firm represents federal employees that are considering early retirement and in other federal retirement matters. If you are in need of federal employee retirement law representation, please contact our office at 703-668-0070 or through our contact page to schedule a consultation. Please also visit and like us on Facebook or Twitter. 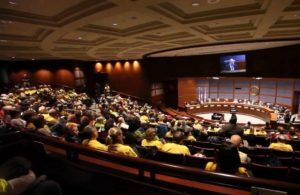 The meeting conflict between Fairfax County’s Strategic Plan meeting and the scheduled decision on a contentious zoning ordinance has been resolved. The public meeting on Fairfax County’s Strategic Plan was recently rescheduled to March. It was originally scheduled for Thursday (Feb. 13) — the same date as the county’s Planning Commission meeting, which will include a vote on a proposed zoning ordinance that would increase the population density in parts of Reston. Now, the meeting in Reston — one of four community engagement events on the county’s strategic planning process — will take place from 7-8:30 p.m. on Monday, March 4. The free meeting will be organized into moderated conversation groups of residents from nearby communities, and locals will have opportunities to share their thoughts and experiences “that will be used to help shape a countywide strategic plan,” the event description says. 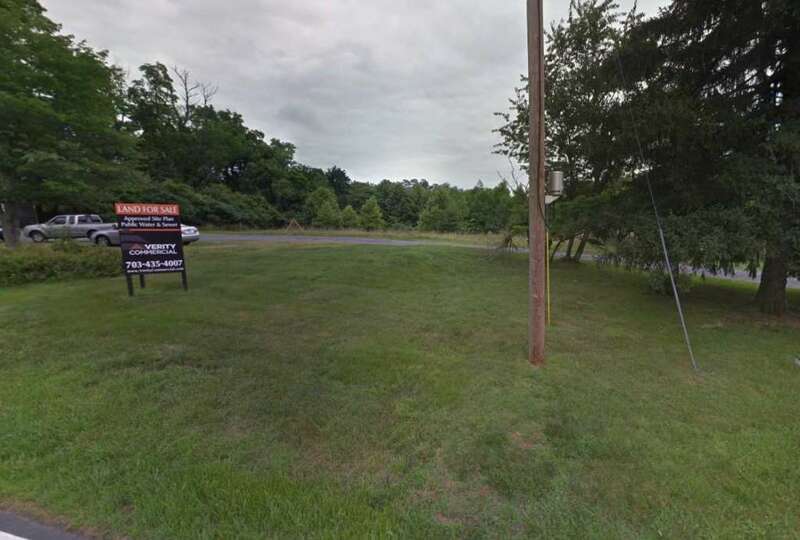 The meeting is set to take place at the Reston Community Center (2310 Colts Neck Road). The strategic planning process has six phases outlined on the county’s website. The first phase started in November to develop a project approach and community engagement plan started and was completed in January. The second phase — community engagement — is set to run through March to seek input and come up with a draft of priorities around seven to 10 areas. Then, the strategic planning process will shift to defining those priorities in March and April before returning for community input from April to July. The Strategic Plan will then get developed from the summer until the end of the year before seeking adoption from the county’s Board of Supervisors at the start of 2020. Meanwhile, the Planning Commission is set to finally weigh in on the contentious population density proposal this Thursday, after delaying a vote following a five-hour-long public hearing on Jan. 23. The proposed amendment to the zoning ordinance would increase the maximum allowed population per acre in the Planned Residential Community (PRC) district — Reston’s primary zoning district — from 13 persons to any number up to 15, along with allowing residential development at a density of up to 70 dwelling units per acre in certain areas. 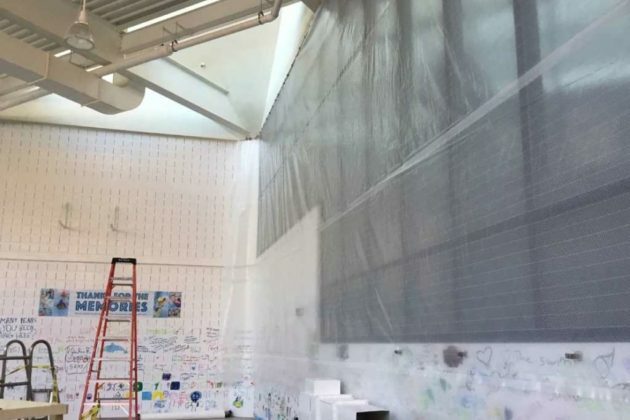 Work is underway on Reston Community Center’s Terry L. Smith Aquatics Center, which closed roughly one month ago for major renovations. 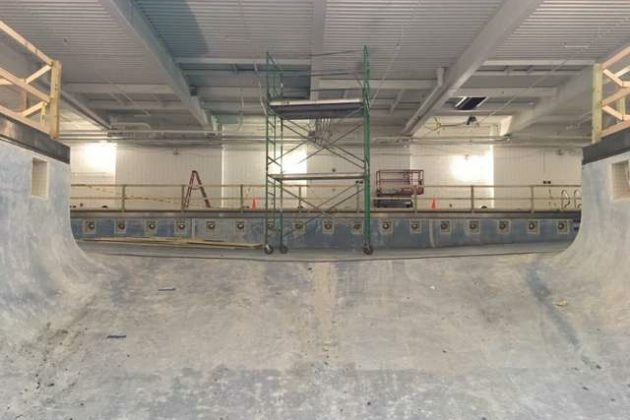 RCC recently shared a construction update on the project, which will update the 40-year-old aquatics center with two pools, along with photos of the progress. RCC staff vacated the area after the pool was drained in early January, according to the update. Recently, the crew from Branch & Associates has been removing wiring and ductwork in the ceilings and walls. 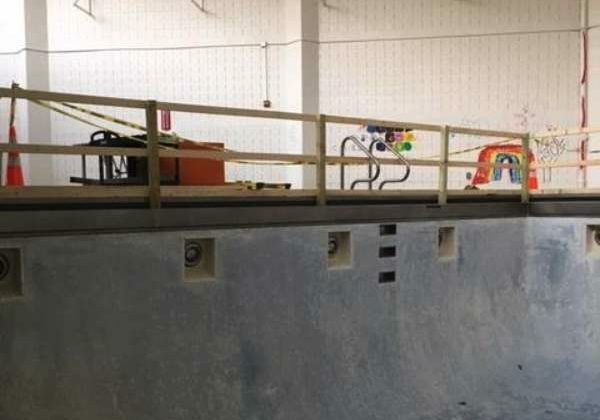 The contractors have installed a safety railing around the pool and covered the overlook windows, the update says, adding that the crew was slated to put in a construction camera last week. Locals might have noticed that a construction fence and work trailer are now outside in RCC’s parking lot. 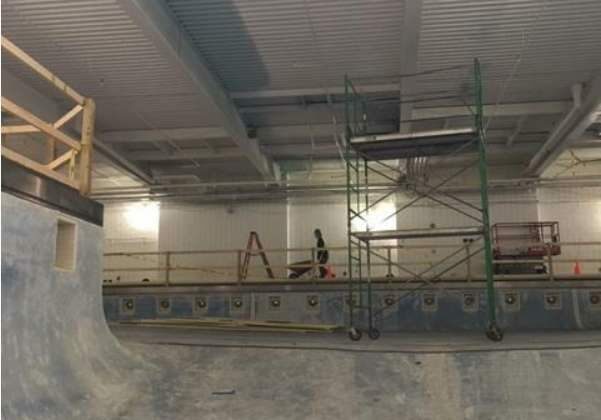 RCC says that it will post monthly construction updates with photos, allowing people can follow along with the progress on the pools. The renovated facility, designed by RRMM-Lukmire Architects, will include a 25-yard lap pool with zero-depth entry, a warm-water therapeutic pool, updated infrastructure systems and a new roof. It is slated to reopen in October. Poll: How Are You Enjoying the Warmer Weather? 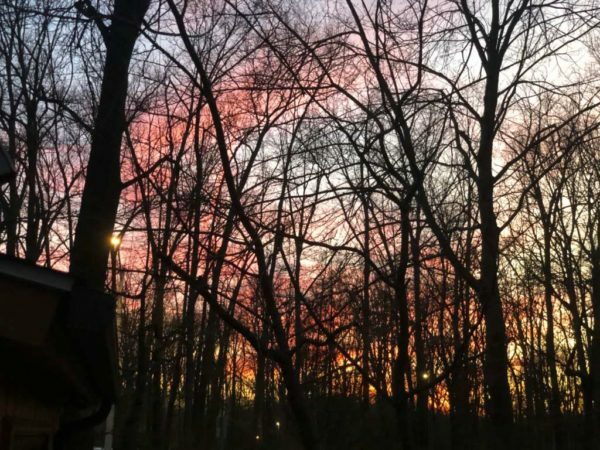 Poll: Where Should Reston Now’s ‘Then and Now’ Series Look Next?